All organizations have to make new managerial hires sooner or later. 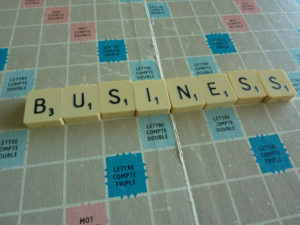 If business is thriving, it is inevitable. Perhaps the signs are positive. Your Direct Selling firm is busy, and you are reaching out to new territories and markets. The timing seems right, too (here’s a previous checklist to confirm). Certainly, when it comes to the running of your Direct Selling business, forecasting, quarterly planning, product development, and sales force retention efforts are all important. Sometimes the signs are less obvious that you need to make a new hire. What factors suggest that you should start looking for staff now? Are you, or your staff, clocking up more time than necessary? A Direct Selling company may not be a typical 9-5 workplace, but that doesn’t mean overwork is nonexistent. But nor should it be excused. If hourly creep becomes an issue, consider making a hire to rein in overtime. Even if your company is in great health, overwork will chip away at it. Because if you, or your staff are constantly working back, you will likely encounter problems. Forecasting, quarterly planning, product development, and sales force retention efforts are all important, but sometimes the signs are less obvious that you need to make a new hire. Increased stress and discontent. A high employee turnover. Working with an outdated management structure. One “boss” trying to do it all? Direct Selling companies are renowned for their flat structures. A C-level executive might be in a board meeting one minute, before messaging a frontline customer the next. Other scenarios may arise. Staff may have inherited additional responsibilities but lack sufficient training. Succession planning is a hot topic when discussing Direct Selling and human resources; hiring a new executive may be the solution to your staffing needs. Is routine work chaotic and disorganized? Are more mistakes being made than normal? Employees are working, but keep missing sales targets and deadlines? When managers and employees lurch from fixing one problem to the next, less time is spent on strategy and creating. Signs that focus is lacking, and your Direct Selling firm is working in “fire-fighting mode” point to the need to make a new hire. Unprecedented growth dictates the hiring of more staff, but conversely, hiring new executives between growth spurts or before a new growth phase begins is another strategy worth considering. Why? Hire an Operations Manager, for example, during “down time” to channel productivity and follow the progress trajectory. Hire a new Director of Product Education and Development. S/he will be able to train and educate new and existing customers and distributors about product line(s), so both parties will be better prepared when there is an uptick in business. The hiring of executive-level staff in the Direct Selling industry presents unique challenges. Insider or outsider? Veteran or industry newbie? Direct Selling is renowned for providing people with the tools so that they reach their utmost potential. The hiring of executive-level staff in the Direct Selling industry presents unique challenges. Engagement, inspiration, and motivation are integral to the success of Direct Selling organizations. Knowledge may be paramount, but the hiring of executives to help your Direct Selling team succeed is one decision that shouldn’t need debating.